SpaceX CEO Elon Musk has published images and video of his company’s Falcon 9 rocket attempting to land on a barge positioned in the Atlantic Ocean late last week. While the rocket did manage to find its target, it came in too fast and at a 45 degree angle which caused it to explode upon impact. The fins on the side of the rocket malfunctioned (they ran out of hydraulic fluid) which is why it came in at an angle. As Musk noted on Twitter, the flames from the engine combined with the oxygen and remaining fuel caused an impressive explosion. The rocket helped propel SpaceX’s fifth resupply mission to the International Space Station before the fateful impact. The Dragon capsule, carrying more than two tons of supplies, arrived safely at the ISS a couple of days later. Ahead of the landing, Musk said there was a 50 / 50 chance that it’d be successful. Afterwards, the entrepreneur wasn’t too bummed about the incident, saying it was close but no cigar and added that it bodes well for the future. A positive outlook is always nice, eh? 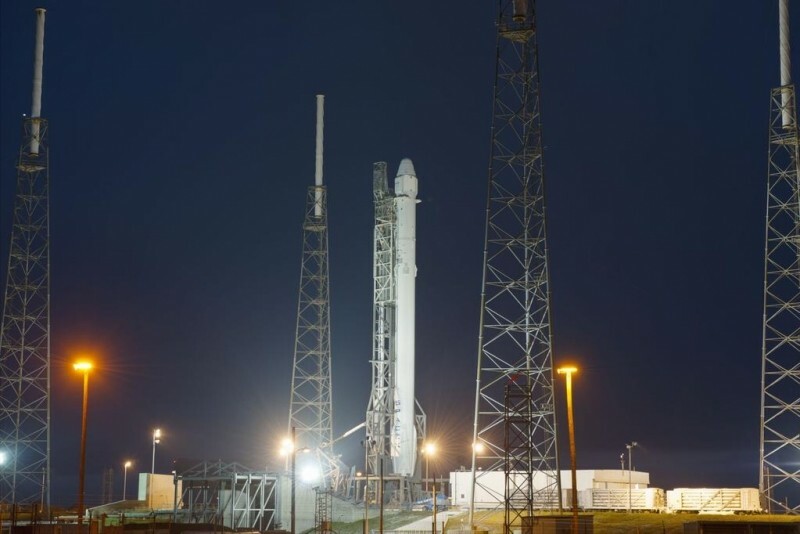 SpaceX’s plan is to create a reusable rocket. If one can figure out how to effectively reuse rockets just like airplanes, the cost of access to space will be reduced by as much as a factor of a hundred, Musk claims. Indeed, those kinds of savings could certainly revolutionize space travel. The next rocket landing will take place within a few weeks and there will be way more hydraulic fluid on tap.